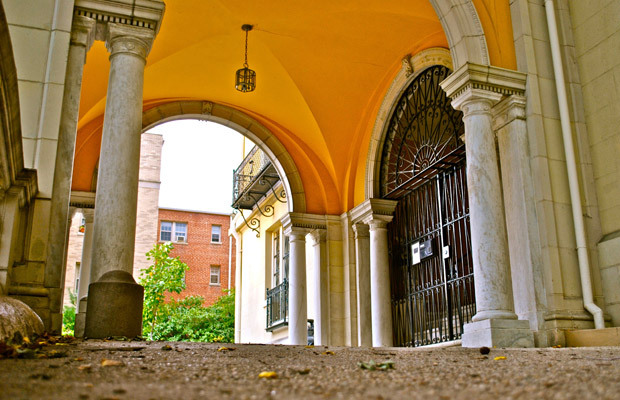 The Josephine Butler Mansion is located across the street from Meridian Hill Park. We’ve walked by the Josephine Butler Mansion a million times as we live around the corner, literally, and have always admired the building. We always wanted to go inside and our wedding gave us a very good excuse. We loved it and thought it would be perfect for the “vibe” we were trying to create. We ended up picking it for the reception because of both its history and its beauty. 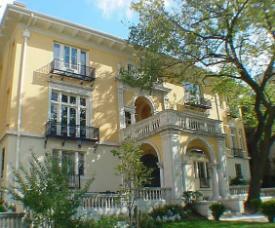 The Josephine Butler Mansion was built to be the Vice President’s mansion in 1890. It never did shelter the VP, but it did serve as the embassy for both Hungary and Brazil.Aside from us as neighbors, the park area and the Mansion has had a few famous residents including John Quincy Adams and John F. Kennedy. So who was this Josephine Butler? Not to be confused with Josephine Baker, the famed jazz singer we also love, Josephine Butler (1920-1997) was a social activist. She helped shape every major social change movement in DC for five decades. She started the first union of black women laundry workers. She helped lead the integration of Adams Morgan’s schools and was a lifelong advocate for health reform. She was a champion for the environment long before “green” was a movement. Ultimately, she led the effort to restore Meridian Hill Park – the site of our wedding ceremony. We were honored to celebrate this important moment in our lives in a venue that is a tribute to the life of such an amazing woman. I will be there, and looking forward to this great affair.